Huh I actually like that V2 quite a lot. That’s a tiny light! Zebralight? 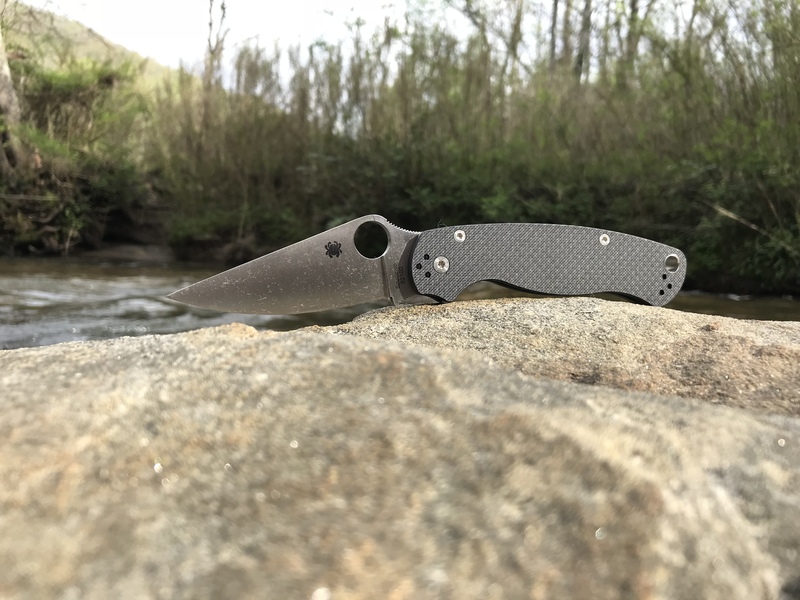 Just pulled our new Para 3 LW out of the mailbox. ...sweet! THANK YOU for those pics, I’ve never been sure how the Native stacked up to the p3. P3 is my favorite. I’ll get the LW at some point. This was last Friday. Phone died on trip to Otto, NC. Gorgeous place! I have a VG10 dragonfly. It’s a nice LITTLE knife. If I were going to get one in H1, it would be the hawkbill serrated model. A locking UPKP is a Calypso, not sure which one... I guess a locking Urban would be a Dragonfly? For the “shore leave”, let’s skip the BHQ exclusive pattern. M4 or cruwear blade and desert ironwood! I torqued the clip on my M4 para3, so I’ll console myself by carrying CRUWEAR today. I’ll fiddle with the clip later. I’ve been struggling with the fact that the rex45 Millie is still available. It’s expensive and enormous. But it’s available! But it’s enormous. But it’s available! Erg. I try very hard to not buy products from China in particular. Because it is so difficult to avoid this, where I actually have a choice I make it. I tend to avoid things that seem to take over; google, fakebook, China, amazon, etc.